When Bullying Canada signed on with Donate a Car Canada to give their donors the option to support anti-bullying/pro-inclusion efforts in Canada through vehicle donation, they did so whole-heartedly! 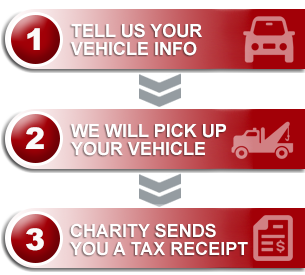 Through their print ads, radio spots, and signage, Bullying Canada has widely encouraged their cross-Canada donors to gift their vehicles and give to the work of advocating for vulnerable kids. In the past few months they have been on the receiving end of many recycle-ready vehicle donations, and have also seen vehicles that brought over $1000.00 in single donations. Rob Frenette, Bullying Canadas Co-Executive Director and Co-Founder, relates personally to being bullied. You can relate, too, right? You, me. We were bullied. Some of us, even into adulthood, have faced bullying in our places of work, where we shop, through media. We remember what it was to be a vulnerable child, facing down (or fleeing from) the kids that wanted to break us down and beat us up. Bullying Canada apply themselves to that effort every day. The work of advocacy, intervention, and prevention will be measurably successful as we, individually and collectively, apply our creative compassion to this shared effort. For a glimpse into what Rob Frenette and Bullying Canada are speaking out about from the East Coast, check out the news from area radio stations 106.9 and Max104.9. And consider them when you gift your vehicle through our program here!